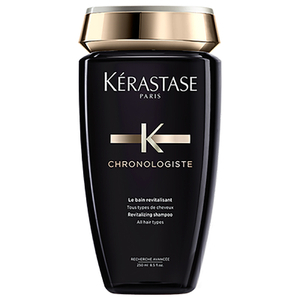 Regenerate lack luster locks with Kérastase Chronologiste Essential Balm Treatment, a luxurious hair masque that combines naturally derived ingredients to leave your hair revitalized, conditioned and enviously bouncy. 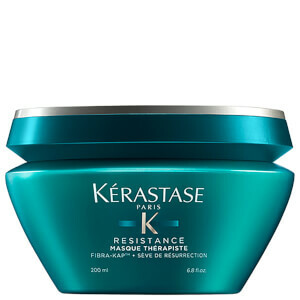 Fortified with a blend of vitamins A and E, Abyssinia and ceramides, the treatment works with the hair's fibers to strengthen and regenerate whilst imparting incredible softness and mirror-like shine. 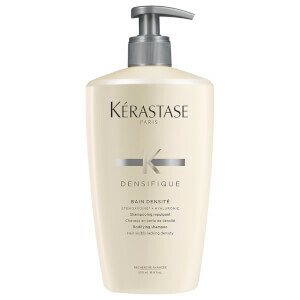 Expect super-soft, perfectly conditioned hair. I LOVE LOVE LOVE the scent of this. I am African American, so it's hard finding a product that works well with my hair. I gave it 4 stars because the price-point is not for everyone, especially someone like me, this is very much a birthday or Christmas splurge item, but it is absolutely fantastic. The formula is very gentle and makes my hair so manageable, and so hydrated for a long time, which I can't say for many hair products. I totally recommend this product to anyone who is on the fence. I can not say enough about it!